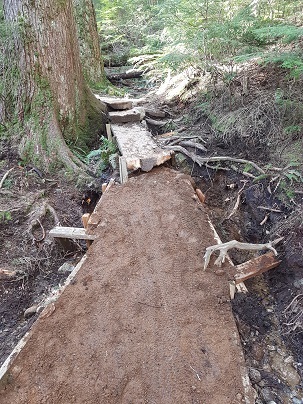 The Spring Trail Work Season is in full swing! 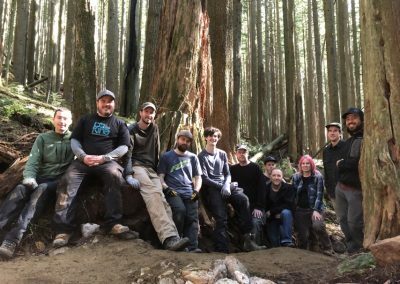 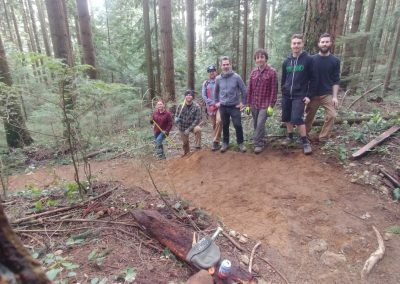 Now that all the snow is gone, builders and volunteers have begun heading to the forest to make sure the network is in good shape for the influx of Spring and Summer riders, runners and hikers. 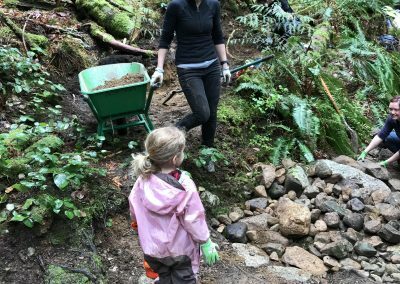 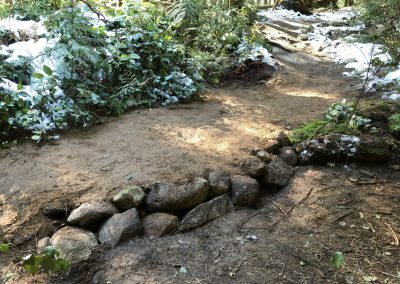 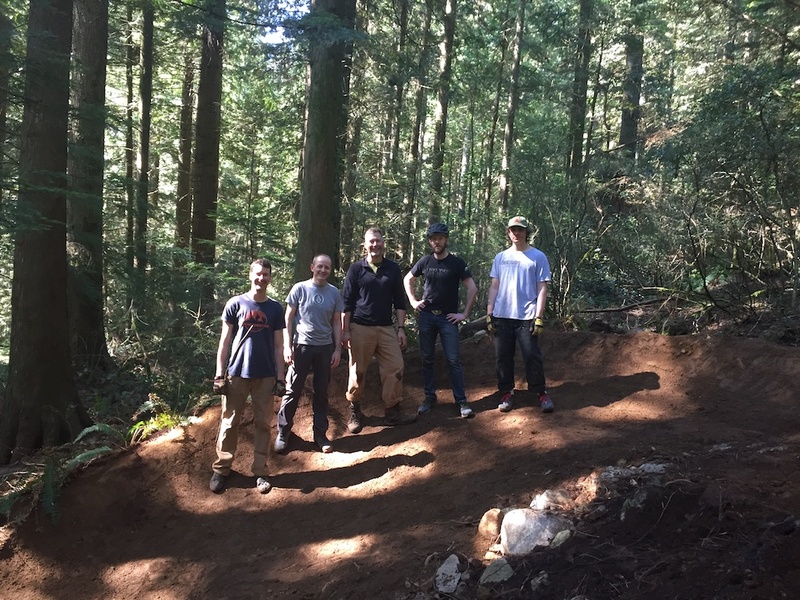 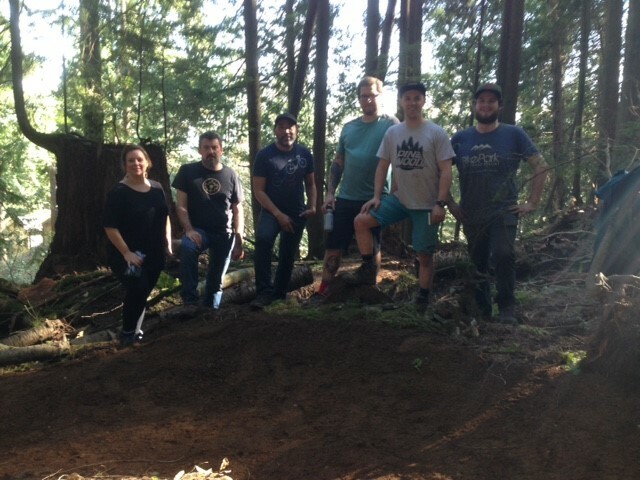 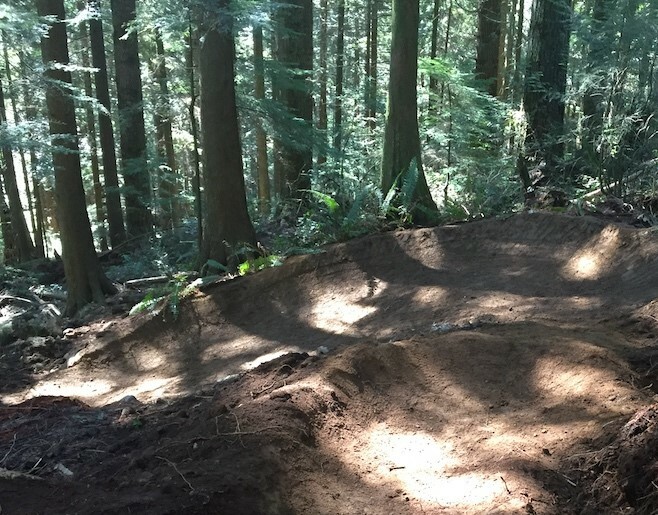 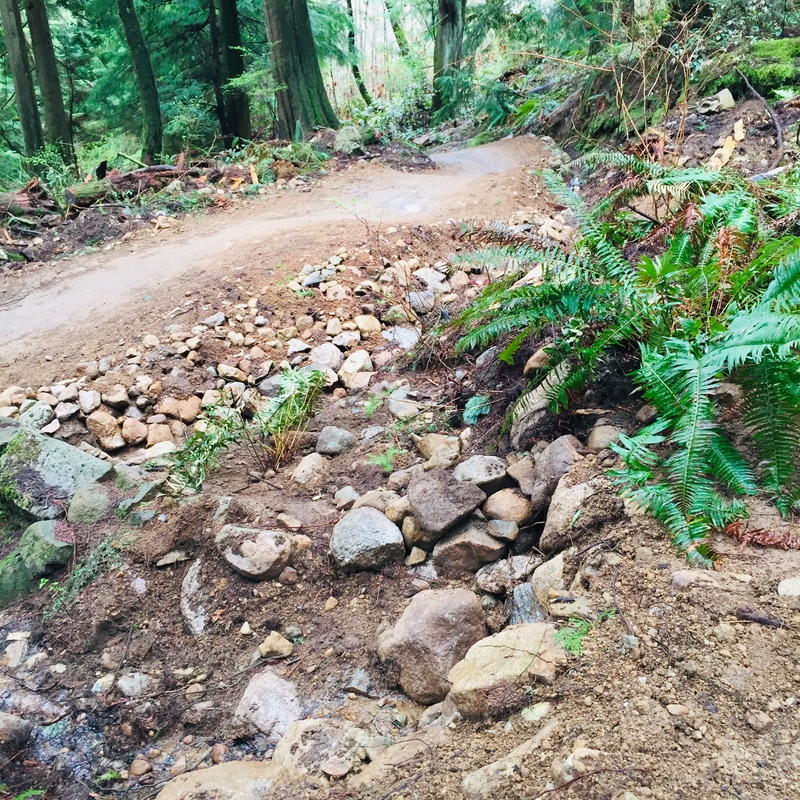 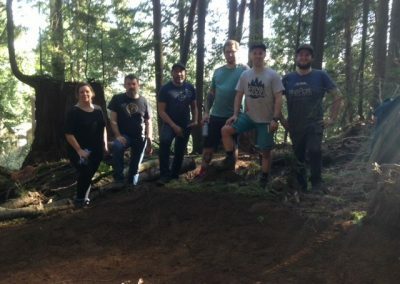 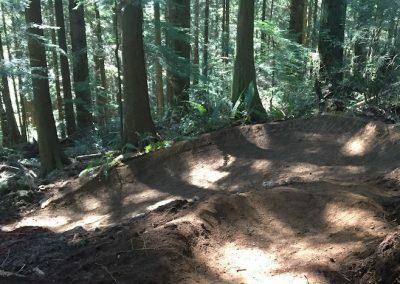 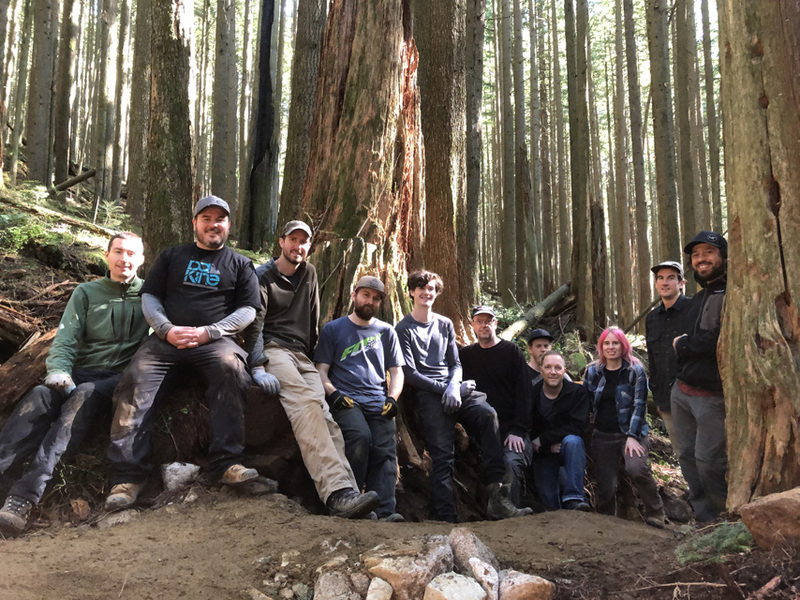 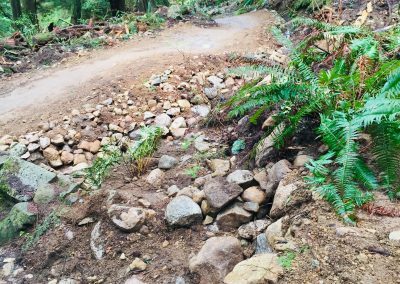 Despite delayed Spring, Builders and volunteers were out in force this past month, building up the trail bed, re-greening areas with sword ferns, getting some rock work done and of course, getting more gold out onto the trails. Now that Empress Bypass has been fully revitalized, the trail crew is busy fixing up eroded sections of trail, due to the melting snow, throughout the network as well as heading to Fromme to finish off the work on Lower Digger as well as some work on Circuit 8. 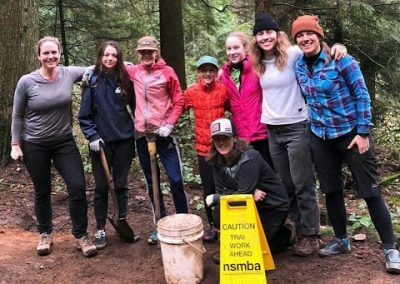 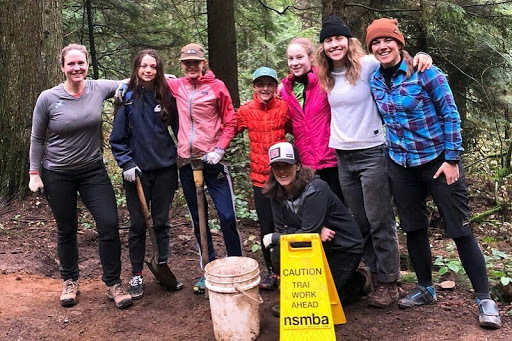 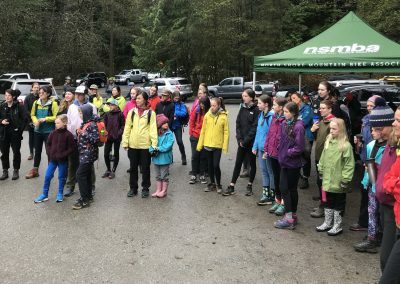 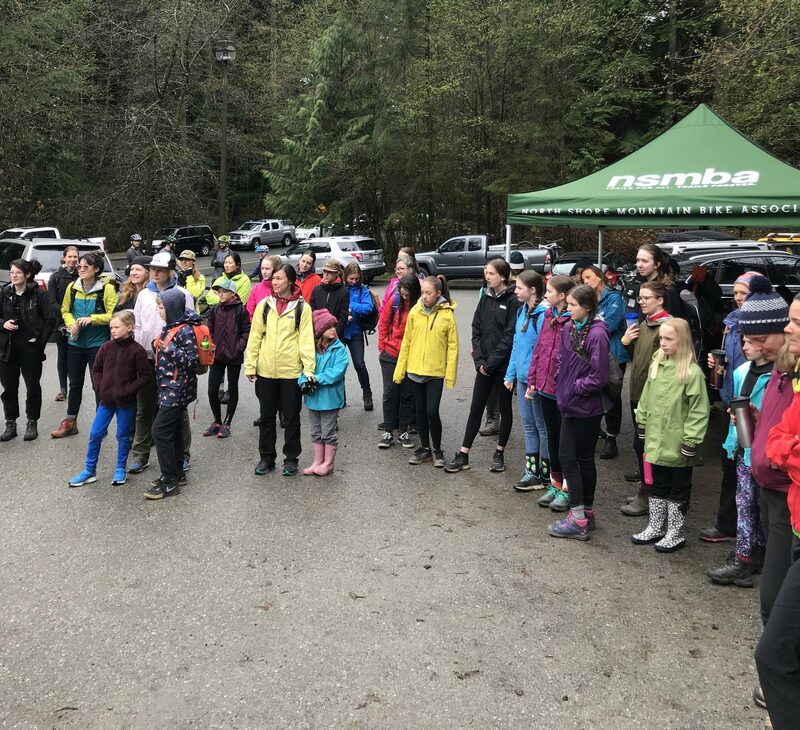 On top of the other trail days this past month, the FortheGirls Dig Day was hugely successful, bringing out more than 40 girls and women to learn about sustainable trail care and giving some love to Bridle Path! 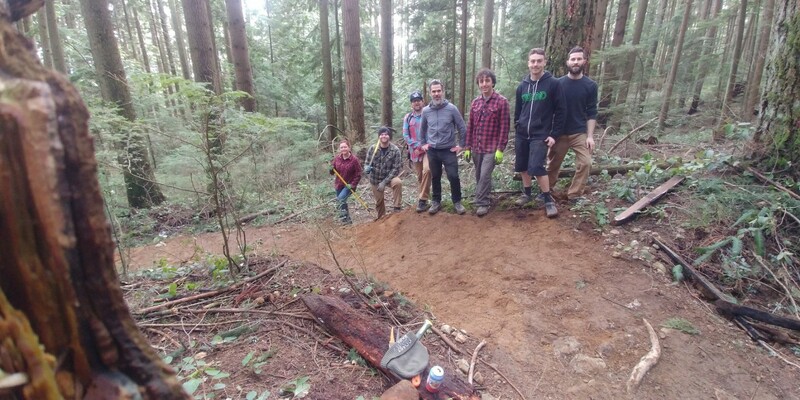 Eager to come work on the trails? 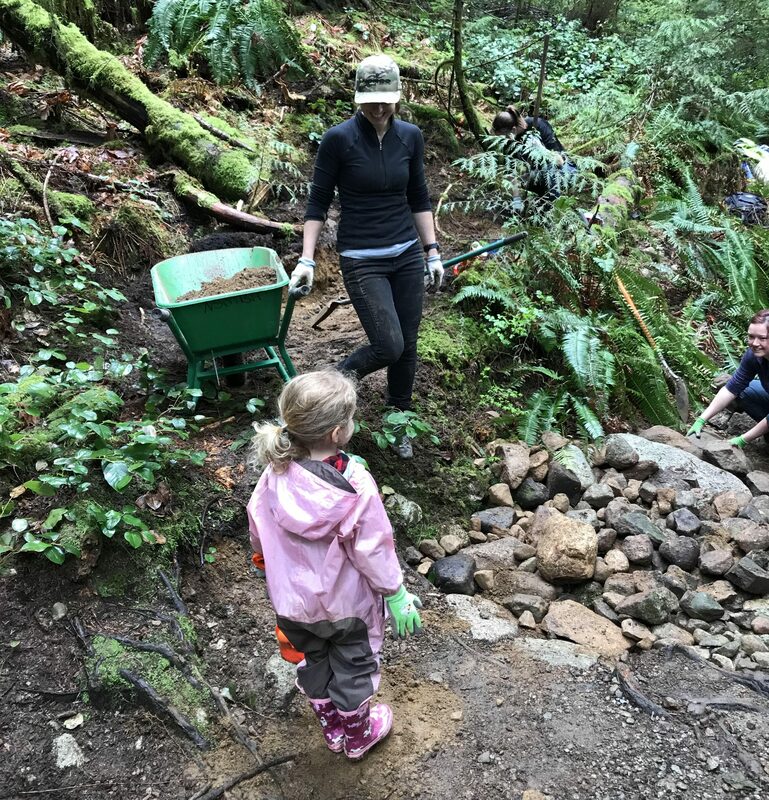 Sign up below for one (or more) of our upcoming Community Trail Days! 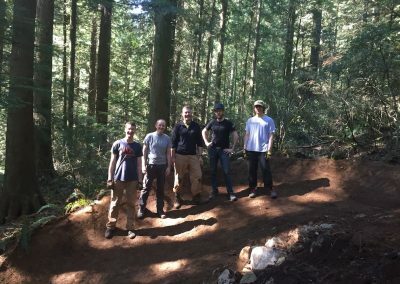 Find even more trail days and events by checking our Calendar. 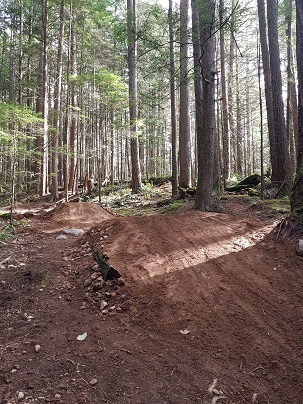 If you see any any maintenance issues you see on the trails be sure to report it via Trailforks!